Plan Your Holiday Event at 94th Aero Squadron! 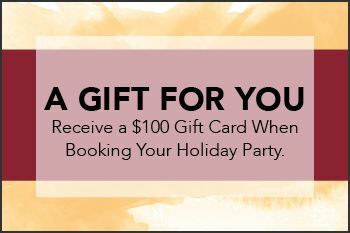 Book your holiday party by November 18th and receive a $100 Gift Card to thank you for planning the event! *Food and Beverage minimum applies. Ask your Event Specialist for details.